The Architecture, Engineering and Environmental industry is as hot as it has ever been in my 30-year tenure, yet even when work is booming, I still find even the best A&E firms struggle to meet targets in any given month, quarter or year. 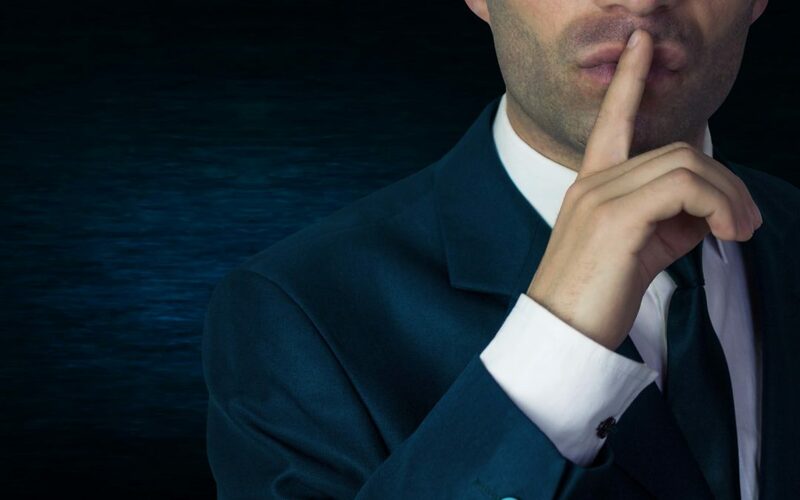 So many factors impact the success of a firm, including some institutional “dirty little secrets” that plague the firm’s growth, retention and profits. These are the bad habits, cultural discretions and unintentional results of focus on fast growth causing leaders’ sleepless night, and employees’ endless frustration. If they exist, they are also undermining the future success of your firm by eroding client confidence and loyalty, handicapping your best performers, and deteriorating your firm’s great reputation and ability to invest strategically. What Can be Done to Clean Up the Dirty Secrets? While fixing these problems is not easy, it is critical to overcoming plateaus in growth, and enabling a small firm to grow into a mid-size or large firm. The good news – these dirty secrets can be reversed and overcome! But first you need to acknowledge they exist. By first recognizing, and then addressing these problem areas, your firm leadership can take a positive and proactive stance towards disabling these traditional A&E culture traps holding you back. While not all these problems below exist in every firm, you will probably recognize several that are causing you heartache and frustration on a daily basis, and creating a hindrance to meeting your annual goals. Keep a tally of how many of these you need to evaluate. While most firms pride themselves on excellent client service, the truth is that the client experience is inconsistent between offices, teams and people in many cases. Employees are untrained and unprepared to deliver excellent service that always meets a client’s expectations, potentially creating a great deal of inconsistency and disappointed clients. There may also be a lack of appropriate documentation being managed that could provide insight to help a firm improve their service, and reduce or eliminate client turnover. Many firms are plagued with multiple offices, teams and business units that do not communicate with each other, have developed their own business practices, and in some cases have their own culture that is different from the one that leadership is trying to instill. This causes a lack of adherence to important company policies and use of systems, as well as lack of communication and failure to cross-sell services between groups and locations. Some firms describe their culture as several different companies, which makes it more difficult to grow, hire new staff and implement important internal best practices designed to help the company to be more successful. It is common practice to meet annually or bi-annually to develop a strategic plan that is supposed to guide the decisions, hiring, and opportunity pursuit for the firm to ensure its long-term growth and success. The plan will usually indicate new markets or geographies to pursue, types of acquisitions to evaluate or new services to add or discontinue. However, old habits often prevail, and employees will habitually go back to pursuing the types of clients and projects they are comfortable with. Old habits are hard to break, and implementation of a strategic plan takes strong leadership, effective communication, diligent execution and meticulous oversight to be successful. The business environment is moving fast and change is inevitable, yet many firms wait until they are behind the curve when it comes to implementing new technology, adopting HR and recruiting practices and optimizing business practices. Failure to invest strategically and ensure the firm is running smoothly and efficiently can radically affect the firm’s longer-term execution and ability to compete. Change management is a critical internal leadership challenge and needs to be a strong focus of firm executives for internal change initiatives to be successful and realize a ROI. Even when systems have been invested in, many firms fail to realize the true return on investment in automation. It is a well-documented statistic that most firms use about 21% of the features of their enterprise systems. There are many reasons that employees don’t use systems including poor implementation, insufficient training, deficient processes, and lack of accountability. Failure to use systems creates a number of chronic problems including a lack of data to make decisions, wasted time looking for information, manual workarounds, redundant data entry and use of spreadsheets. This failure to use systems can also cause severe problems with adhering to project budgets and schedules, reduce utilization and win rates, and ultimately reduce firm profits. Failure of the firm leaders to agree on the mission, vision and values of the firm as well as the course forward can be the biggest deterrent to firm growth and success. This can stall decisions, sabotage execution of strategic plans and affect the firm’s ability to communicate a clear and visionary course for the future. The inability of leaders to agree and gain consensus eventually flows down to the staff and can create a toxic culture that will stall growth and cause the firm to lose key clients and employees. If you recognize problems occurring due to leadership issues, this should be dealt with before any of these others are addressed. Most A&E firms have adopted a seller-doer model to win new business. Because A&E professionals are naturally focused on the technical aspects of their projects, sales often take a back seat when firms get busy and there is a shortage of talent. Most seller-doers lack sales skills, and when asked, will often lament that they don’t enjoy sales and don’t know what they are doing. In addition, most firms lack a solid sales process, sales management and accountability around expected results. This lack of discipline around the managing and winning of opportunities can severely impact the win rate and growth of firms. It also has the negative impact of wasting dollars on pursuing opportunities that the firm can’t win or winning jobs that the firm would be better off not winning. One of the unspoken dirty little secrets of many businesses is that their employees are not all created equal. I often hear frustration over performance of the B team, C team and in a few cases, the D team. Who would knowingly retain employees referred to as the C or D team?? Unfortunately, many firms lack performance management systems and accountability measures needed to evaluate, and reward their best performers, and ensure that the level of competency is maintained. The current shortage of skilled architects and engineers has only made this problem worse in recent years, forcing some firms to “settle” for staff that are not as experienced, or talented. The problems from this approach are obvious such as increased risk and client turnover. But one often overlooked consequence of tolerating less talented staff is that it undermines the trust and morale of your high performing employees and can have the adverse result of decreasing retention with your best employees, bringing down the overall level of performance across the firm. Many project managers (PMs) in the A&E industry are promoted to their positions because of their excellent technical skills, and ability to keep clients happy. But once they get to the PM position, they often struggle with managing all the new responsibilities they have including estimating, budgeting, managing staff, approving timesheets, billing, asking clients for money, and delivering profitable projects. Add to that, the lack of systems, processes, consistency in practices across the silos and failure to instill accountability for results, and the perfect storm is set for scope creep, and project budget overruns. Many firms lack the structure needed to ensure consistent project results and PM success. Not only is this a danger to the firm, but many PMs never reach their potential, experience daily frustration and may leave to look for a more supportive and professional environment. Underlying many of the issues listed above is an overall lack of accountability at every level of the organization. Failure to set goals, measure results, give feedback on a regular basis, and establish consequences, rewards and incentives for performance can undermine a firm’s ability to maximize profits and motivate staff to take initiative to help the firm improve. Accountability often has a negative connotation in many firms, which causes passive-aggressive behavior, and disempowers management to deal with underperformance and get ROI from investment in systems and acquisitions. Accountability does NOT have to be a dirty word – it can be implemented in a very positive way that encourages the right behavior and motivates staff to their best performance. Leadership commitment to changing the culture to one where employees are part of the solution rather than the problem is a great first step to transforming your firm to one where accountability is expected and rewarded. The reality in most firms is that management is aware of many of these issues but does not always know how to make a significant impact on them. And while there is a big picture idea of areas that are below expectations, the details still elude most leadership teams. The everyday small behaviors, inconsistencies, communication gaps, lack of training, inefficiencies and failure to follow best practices that go on, to a large extent without attention, are costing your firm thousands, hundreds of thousands or even millions of dollars in lost profit each year. The first step to curing these gaps and transgressions is to gain an awareness of how and why they are happening, as well as the financial and human impact they are making on your firm’s success. A truly enlightened organization will work hard to mitigate these problems one-by-one and realize that continuous work on being the best is critical to staying ahead and maximizing profits in today’s competitive environment. Once a clear picture of the issues is uncovered, both by internal examination, and preferably, employee assessment, management can better focus on root causes, and best solutions to stop the leaks, improve communication and get the ship turned around and moving in a positive direction. With humility, diligence and keen focus, every A&E firm can realize their true potential and avoid these 10 dirty little secrets that stifle an otherwise healthy and prosperous organization.